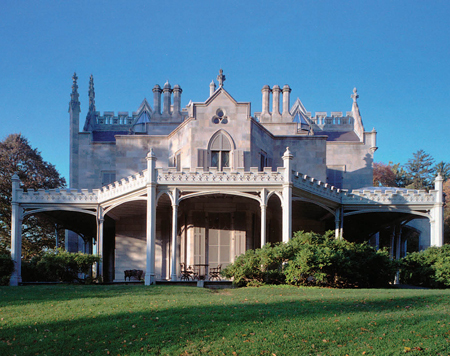 Lyndhurst is America’s greatest example of Nineteenth century Gothic Revival architecture. 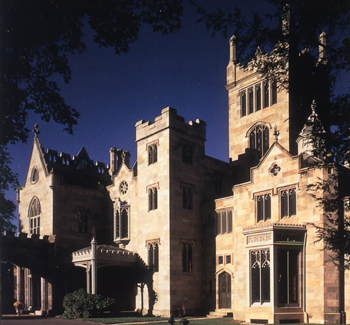 Designed by Alexander Jackson Davis, arguably the foremost architect of his day, Lyndhurst was home in succession to a two-time mayor of New York City, a successful merchant, and the infamous robber baron Jay Gould, whose fascinating daughters remained in the house through the mid-Twentieth century. Now a site of the National Trust for Historic Preservation, Lyndhurst is set along the Hudson River on beautifully landscaped grounds. It is worth a lingering visit. Grounds are open daily dawn to dusk Mansion is open for tours Fridays through Sundays beginning May 4. See website for tour schedules.